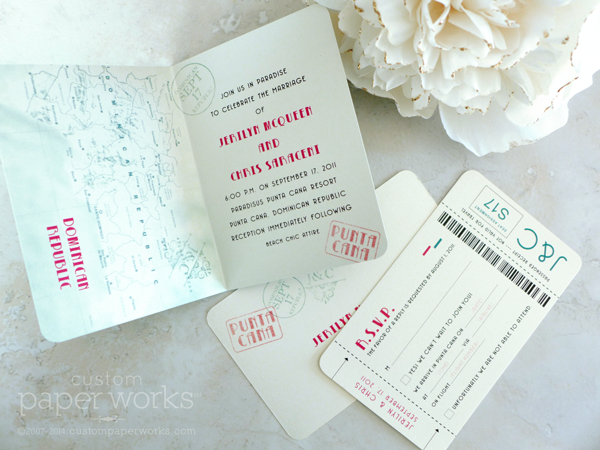 What do you do when you really want an Art Deco look on a passport invitation? Around here, all you need to do is ask! 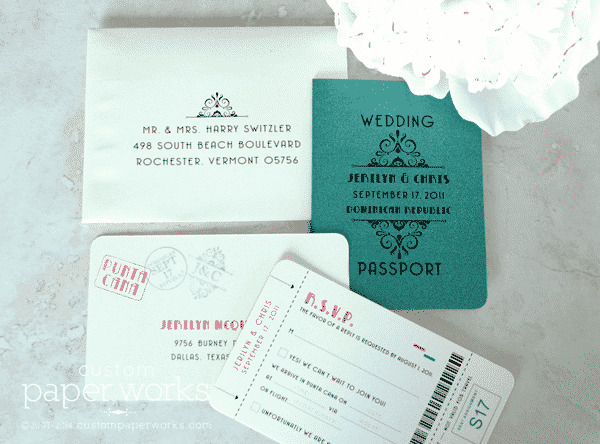 The emerald green and ivory color palette is a perfect compliment to the style. 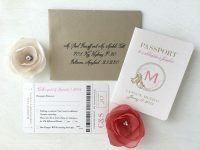 The Art Deco fonts and simple artwork are stunning on this invitation for a Punta Cana, Dominican Republic invitation.